This an e-mail that the previous website manager received from Martin Royle. Following a short trawl for WC 16 info via Google I came across your site & though I appreciate that there will be more interest in the Winkle brig, I thought you may like to keep me on file if any info is needed on the Westcoast 16 as I built the first production boat (WC No2) `Sarah’ for myself alongside Bill Winter in his Boat shed in Lymm, Cheshire in 1981 approx. I designed the rigs for the Westcoast 16 (gaff & gunter) & advised Eric on the rig for the Winkle brig & the later day boat derivative. Does anyone have information about Eric, he was an inspiration, always laughing & joking with a funny story to pass on. All his equipment was covered in glass & he basically built boats with an angle grinder, glue gun, screw driver & very little else, though his band saw was used a lot I now recall. When still in Lymm, we shared brew up times & when they made the tea quite often it ended up being served in jam jars as his mugs had all been glassed over! I have copied in Chris Lewis & Tony Fooks for information (owners of Sarah & Shadow) both boats are kept near Falmouth. 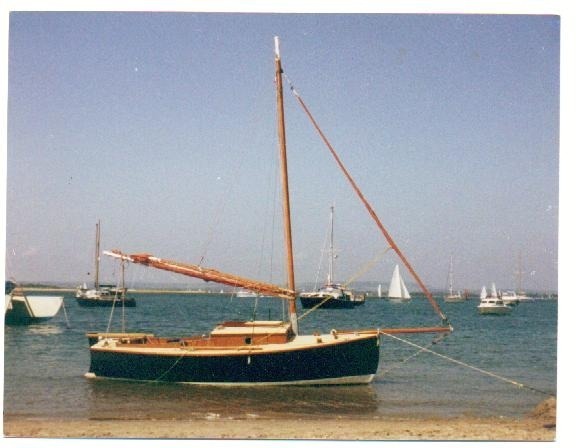 For myself, after selling Sarah I bought & rebuilt a 1947 Int Dragon with Bill, before buying & rebuilding a 1912 Blackpool & Fleetwood 22’ Jewel class Gaff Cutter called Diamond for myself. The larger boats all had to go in 92 after house buying, but I acquired a 1954 Int 12’ dinghy which I kept to restore, that was completed last Season, so I now sail Fubbs here in Cheshire happy with her 100+ year design.